See yourself coming home to this gorgeous 4 bedroom 3 bathroom home located in Castle Rock! This bright and spacious home features a luxury kitchen fit for entertaining or relaxing in the bright, spacious living room. With a spacious front porch, you can spend those warm summer nights outside! Make this home yours today. Contact our leasing agent for more information! Make this charming 3 bedroom 2 bathroom house your new home! This home features a bright and spacious kitchen and dining room perfect for entertaining! The inviting living room offers ample room to enjoy an evening in or take your night outside to relax on back deck! Don’t miss this opportunity to make this home yours. Contact our leasing agent for more information! 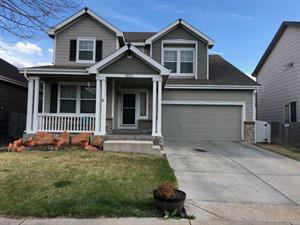 See yourself coming home to this gorgeous 4 bedroom 3 bathroom home located in Fort Collins! This bright and spacious home features a luxury kitchen fit for entertaining or relaxing in the bright, spacious living room. Spend those cool winter nights inside by the cozy fireplace or enjoy those warm summer nights outside in the backyard! Make this home yours today. Contact our leasing agent for more information! Beautiful open, vaulted home with a loft overlooking the main floor sitting room, Granite throughout. Main master with 5pc bath, large dining room, 5 bed with walk ins, 4 baths. Lots of large windows. Very bright, open feel. 3 car garage. Central location for commute to tri-city locations, shopping, schools. Make this home yours today. Contact our leasing agent for more information! Make yourself at home at this charming 3 bedroom 2 bathroom home located in Morrison! This spacious floor plan features a welcoming kitchen that opens to the bright and spacious living room. End the day relaxing inside by the cozy fireplace. Don’t miss this opportunity to make this home yours. Contact our leasing agent for more information! Wonderful home within Cherry Creek School district featuring: great open living room/dining room, great kitchen, large family room, four bedrooms up and master suite w/ master bath. Minutes to DTC, downtown and walk to light rail. Make yourself at home at this charming 4 bedroom 2 bathroom home located in Westminster! This spacious home features a welcoming kitchen that opens to the bright and spacious living room. Enjoy a morning coffee or end the day relaxing on the back deck. Don’t miss this opportunity to make this home yours. Contact our leasing agent for more information! Beautiful 2 story entry with an open floor plan, Four bedrooms and four full bathrooms, large loft, study, Gourmet Kitchen with large double door pantry, center island. Luxurious master, Master bath with spacious shower, soaking tub spacious walk in closet. Every bedroom has a walk in closet. Walking distance to elementary school and Bison Park! Great neighborhood! Schedule your tour today!